I know, editorial post after editorial post but hey… I just couldn’t help myself. Once again. After all; this is such a beautiful editorial and it’s definitely eye-catching. 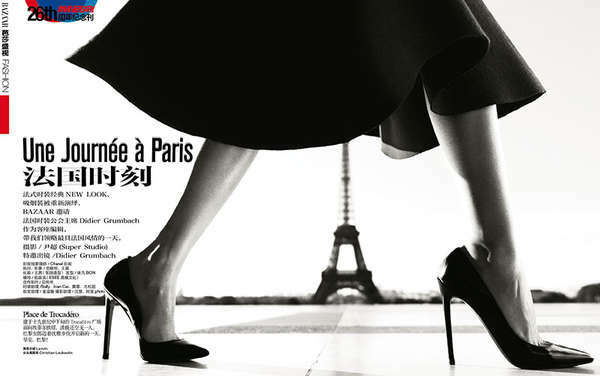 Harper’s Bazaar China celebrates it’s 26th birthday in style with elegant nostalgic ‘Une Journée à Paris‘ editorial. The model, Miao Bin Si, wows us in a vintage style by dress in luxe designs from the likes of Lanvin, Mugler, Dior Haute Couture and Elie Saab styled by Fan Xiaomu & Gugu. The editorial was captured by Yin Chao and somehow these beautiful photos reminds me the work of fashion photography greats Richard Avedon and Henry Clark.